Good morning! Hope you’ve got a great start to the week. Yesterday morning, I went to the Rajasthan Grameen exhibition at Chitra Kala Parishath. The mela has been on since March 3rd and yesterday was the last day. The crowd was thin and so were the stalls. 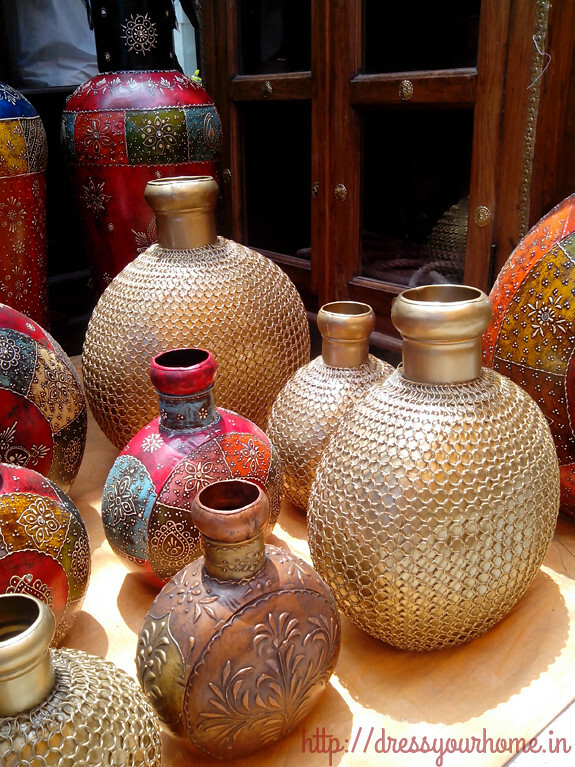 Apart from the usual suspects like the jharokha, kantha worked fabrics, beaded jewellery, dye prints and blue pottery, there were a few things that caught my eye. I went in unprepared and took these pictures on the phone. The golden vase was the showstopper for me. You’ve seen variants of this before – the base is iron + other metals. But, this one was a new addition and comes in various sizes. 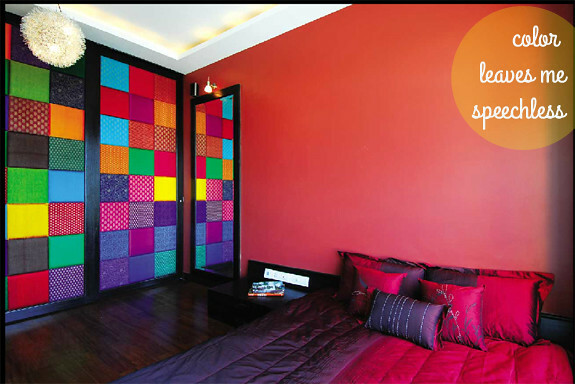 The price starts from Rs.500 and goes upto Rs.4,500 for the larger ones. Some stalls are permanent fixtures and have little to do with the theme of the exhibition. For instance, there was a Tanjore painting stall (Tanjore-Rajasthan connection seems rather distant). 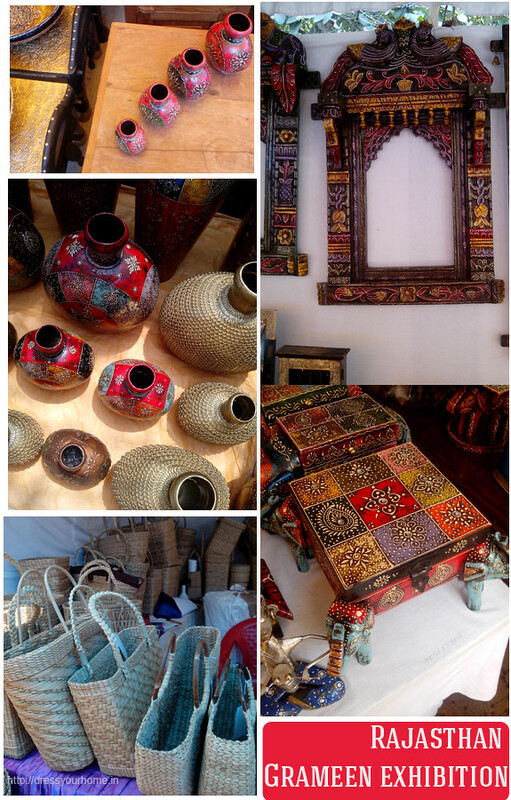 Similarly, the lue pottery stall at the entrance is another common draw. 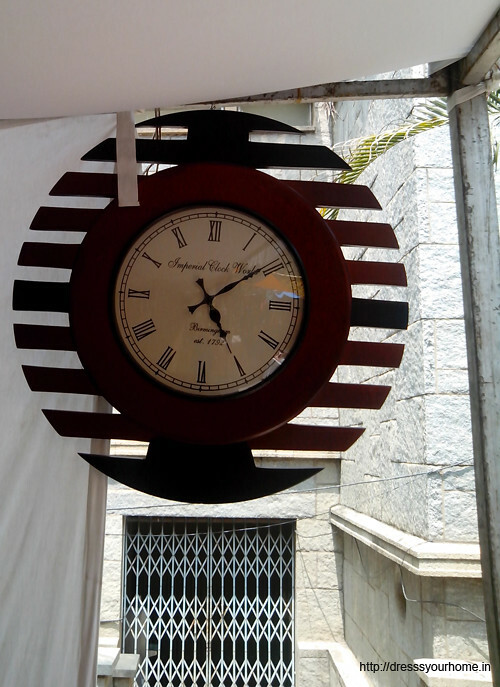 This vintage clock with wooden circumference was priced at Rs.8,500. Have a great week. I’ll see you tomorrow.